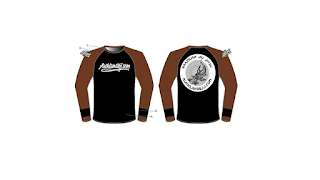 Please place you pre order asap if you want this rash guard. The cost is $60 for each rash guard. Therefore we cannot afford to keep a large stock due to financial reason and will order what is required and we will not order spare rash guard. Please note, there will be no logo on the shoulder or black tab on the wrist as per the attached picture. However, you do not have to wear this rash guard for training. We are not a Mac Dojo so you can always wear any rash guard that you want for our nogi BJJ classes. We also recommend that you wear a rash guard under your gi as well but it is not compulsary. 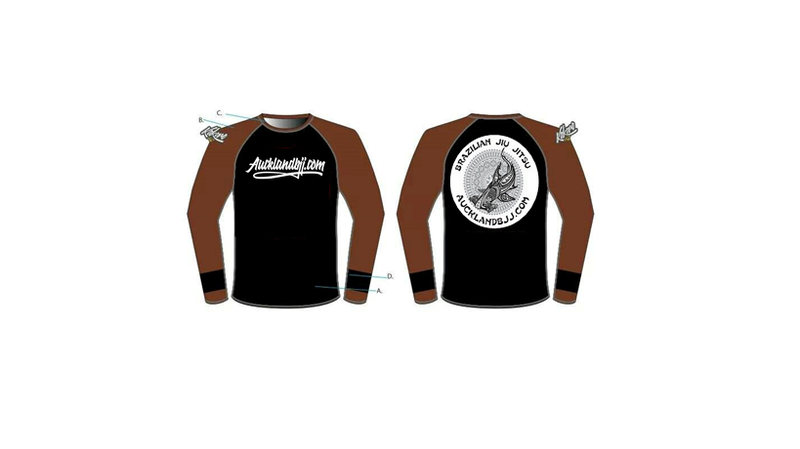 For the NZ grappler National competition, they will require you to wear specific uniform as per IBJJF rules. Board shorts, primarily black, white or black with white and with up to 50% of their rank color (belt), with no pockets or with pockets entirely stitched shut, and must reach at least halfway down the thigh (no more than 15 cm from the knee). Attached metal or plastic of any kind that may hurt the opponent is expressly forbidden on the board shorts. Men are permitted the use of pants, shorts or trunks of elastic fabric (clings to body), as long as they are the color black and worn under the regulation shorts. Shirt of elastic fabric (clings to body) at a length that covers the shorts’ waist band, of black, white or black and white color, and displaying at least 10% of the color of the rank (belt) to which the athlete belongs. Shirts that are 100% the color of the rank (belt) the athlete belongs to are also acceptable. Athletes must wear undergarments. The use of thong-type undergarments is not permitted; only brief-type undergarments may be worn. Board shorts or lycra elastic shorts or pants, primarily black, white or black with white and with up to 50% of their rank color (belt), without pockets or with pockets entirely stitched shut, and must reach at least halfway down the thigh (no more than 15 cm from the knee). Attached metal or plastic of any kind that may hurt the opponent is expressly forbidden on the board shorts. Shirt of elastic fabric (clings to body) at a length that covers the shorts’ waist band, of black, white or black with white color, and displaying at least 10% of the color of the rank (belt) to which the athlete belongs. Shirts that are 100% the color of the rank (belt) the athlete belongs to are also acceptable. In the female divisions is permitted the use of full black pants in elastic fabric (clings to body).